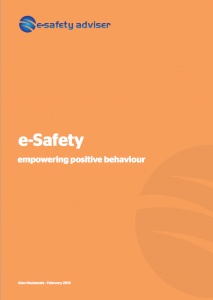 This is a short article/guide considering how we can effect long term change when it comes to educating and empowering e-safety. I doubt many would disagree that e-safety is still in its infancy. We haven’t got an awful lot of history to understand what impact online life actually means in terms of behaviour, and due to the nature of technology it’s also a subject area that continually expands and evolves at an extraordinary rate. We had the first connected computers in the late 1960’s and early 70’s in order for academics to share information and research (ARPANET) and the prediction that there will be anything between 25 and 50 billion connected devices in the next 5 years is simply staggering. Whilst some will shy away from technology and say they’re not really interested (is that really possible? ), others will embrace the many advances that technology gives us in our personal lives, our business lives, and of course education.